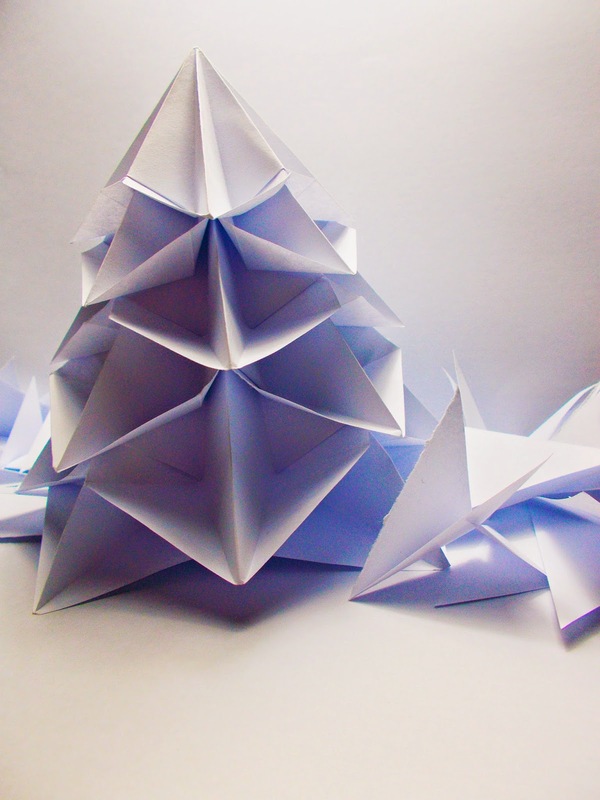 This is an origami Christmas Tree designed by Francesco Guarnieri. 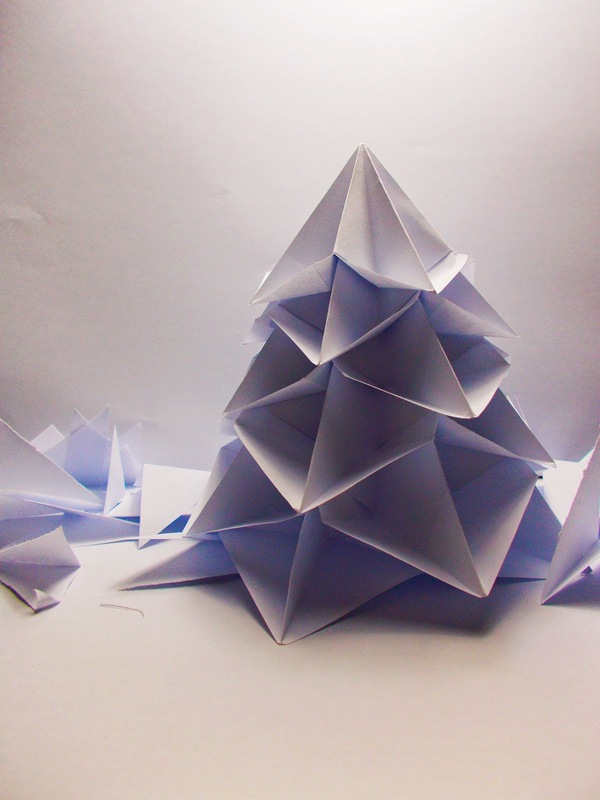 The diagrams are in http://guarnieri-origami.blogspot.it/2012/11/bialbero-di-natale-multialbero.html with additional clues for instruction at http://goorigami.com/modular-origami/origami-christmas-tree/1960 . It is a multi-piece origami model which will lovely sit on your table during the holidays! (or any time if it is your "trip"). Why did I say "multi-piece" not modular? 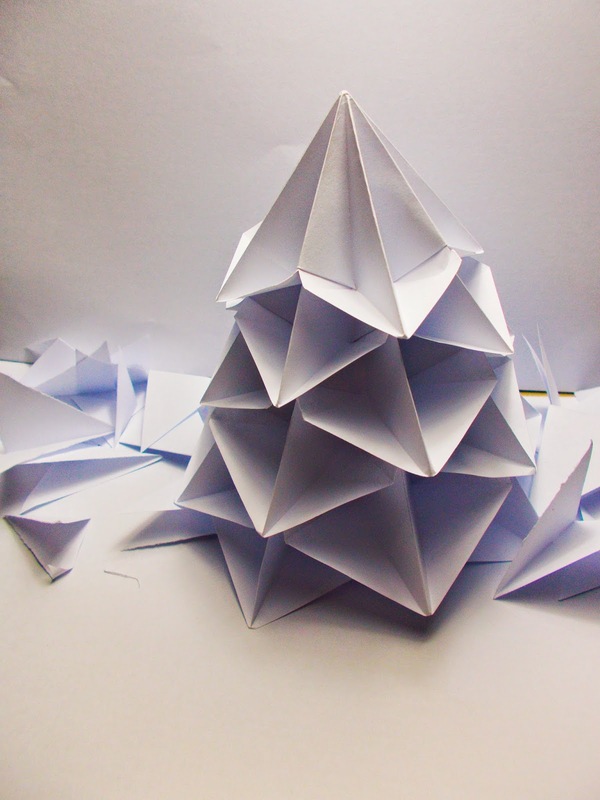 A multi-piece model is made of more than one piece of paper. A modular model us a subcategory of the multi-piece model wherein the units of the model are the same. This Christmas tree, although it has units similar to each other, the sizes are quite different (difference: at least 2 cm).